Flower Tumbles is now a Kindle title! The Esselen Tribe lived in southern Monterey County near the headwaters of the Arroyo Seco River for many thousands of years. As with most of California’s Native Americans, their way of life disappeared – along with most of them – in the 19th and early 20th Centuries. This story is set before the great disruptions and attempts to offer a glimpse of Esselens as they once were. Its unlikely hero is a young boy who confronts one of the greatest dangers to his small tribe – an engraged grizzly bear. Art Salvagno and I had a great time working on this story back in 1981 and again when we revised it in 1995. Ed Haskell offered patient and indispensable service in creating this Kindle edition. Sadly, we had to lose some of Art’s great double-page illustrations when converting the story to the required format. We’ll tinker with our effort in coming months and try to wedge some of the drawings back in – I promise! By the by, Flower Tumbles won the Salinas Californian’s 1981 John Steinbeck Award for best fiction – not too shabby! Teacher Pals, here’s a link to lesson plans posted on TPT. They’re good, if I do say so myself! Mission San Antonio de Padua holds an annual celebration of California history. I was most pleased to participate in the 2017 event as story-teller and visiting author. 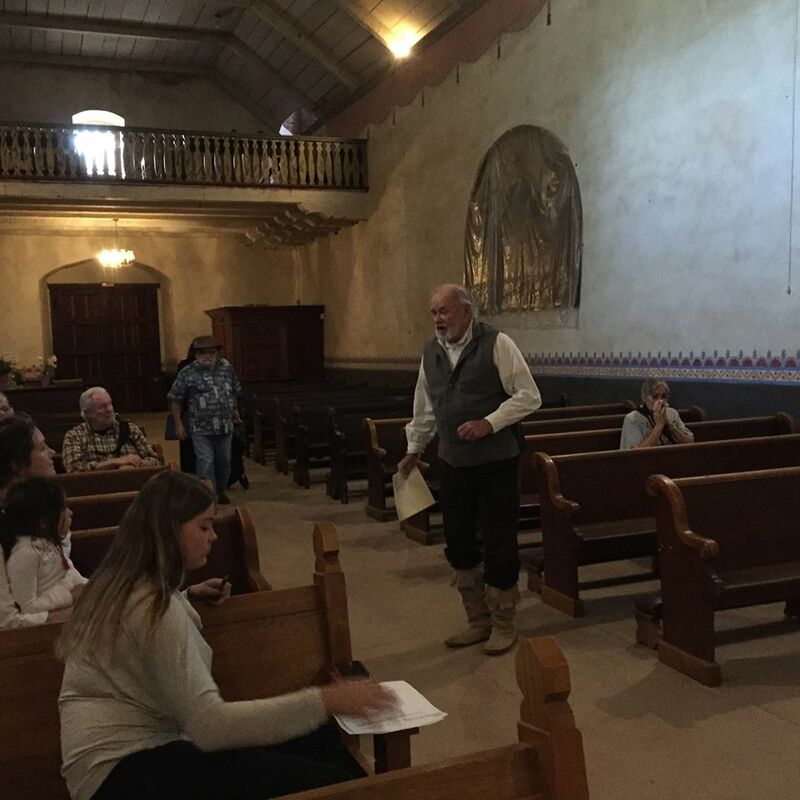 The hundreds of visitors and dozens of presenters enjoyed an April spring day – mild sunshine, warm breezes and perfume of wildflowers – that only the San Antonio Valley can produce – a heavenly visit to old California. I got to share Native American stories about silly Tarantula and how Kangaroo Rat got his blackened tail. I hope to be included once again next year!